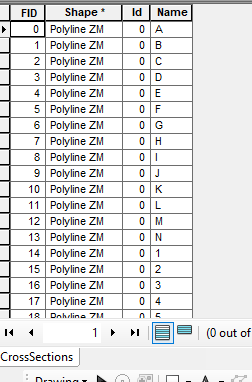 I have a polyline shapefile. The shapefile has a field called "NAME"
I would like to make a loop over each line (A,B,C,D,...). This is the python code for only first line named "A"
I don't know how to do it over all of them with a loop. Also I would like to save the table with the name of each Line. for example: OutTableA.dbf, OutTableB.dbf, OutTableC.dbf and so on. Use the da.SearchCursor to iterate over each line/row of the profilelines and create a feature layer for each using objectid. Then pass this feature layer to StackProfile. One output folder will also be created for each output table. Not the answer you're looking for? Browse other questions tagged arcpy 3d-analyst for-loop or ask your own question.